The Balanced Momentum indicator eliminates the dropout effect which is seen in the Standard Momentum indicator. Specifically, the dropout effect refers to a significant rise or fall, when the last bar in the lookback period “leaves” the calculation. 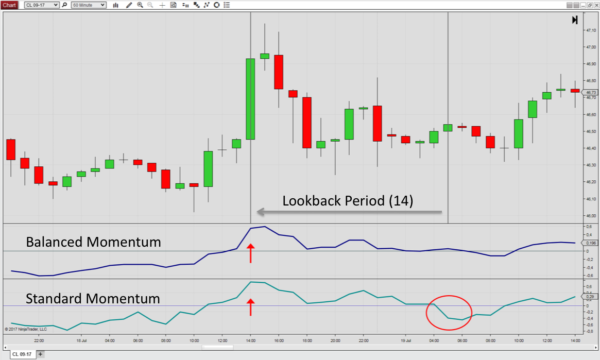 The Balanced Momentum indicator eliminates the dropout effect: The difference between the close of the last bar and the close n bars ago in the n-period momentum. When a large bar n periods ago drops out of the momentum calculation, this can create a significant distortion, as it will show as a change in momentum, even if there was no or little price change for the last bar. To eliminate this problem, the balanced momentum input value n bars ago was replaced with the triangular moving average SMA(SMA(Input, n+1), n+1). 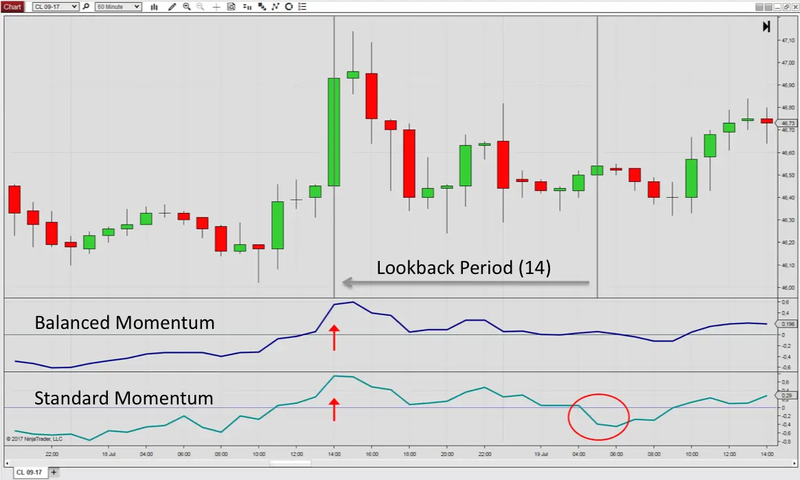 This modification does not change the usability of the momentum indicator, but simply eliminates the distortion.